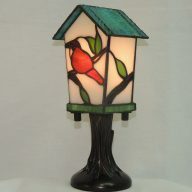 Blue Arrow mission style stained glass accent lamp. This Blue Arrow mission style accent lamp boasts blue, green, light amber and white on the shade. A darting arrow pattern runs through the center on each side. 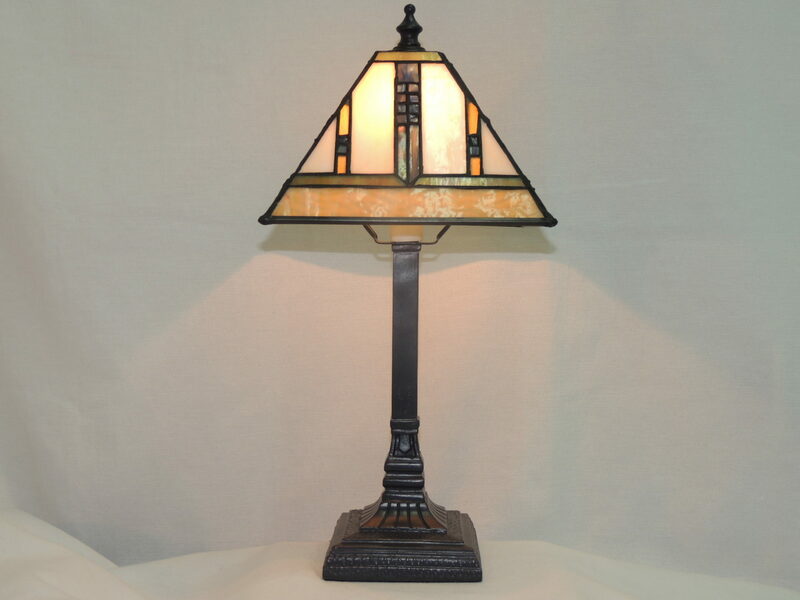 The base on this gift of light is done in a roman column style with arrows toward the bottom on each side, hand finished in gravel gray, and is resin. The combination of colors are perfect for creating an environment of serenity and peace. 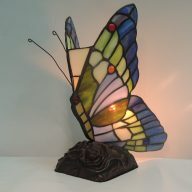 A beautiful gift to remember that special someone or a memorable event or occasion. 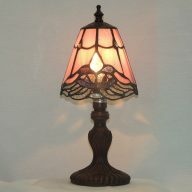 This accent lamp will fit practically anywhere and compliment many home decors.